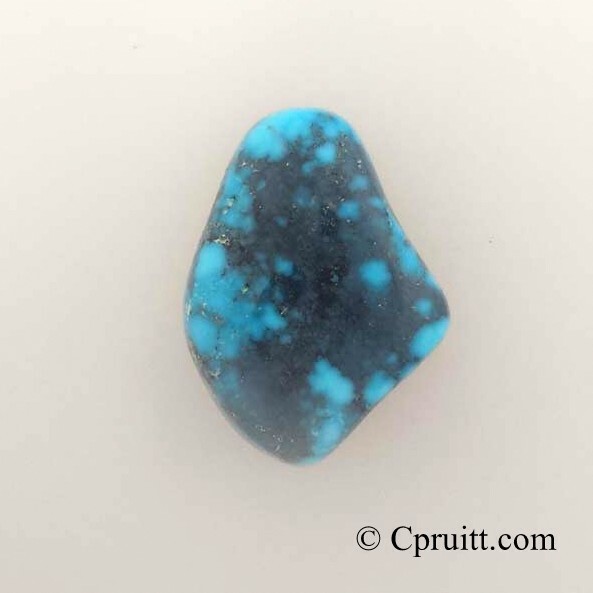 Morenci turquoise was mined in Greenlee County in southeastern Arizona. This turquoise is highly sought after for its blue colors and iron pyrite, or “fools gold,” matrix. From 1956 to 1984, the turquoise rights were granted to William “Lucky” Brown. Lucky retired in 1982 and his sons continued to mine the turquoise until the lease ended. The Browns still have quite a stash of rough stone, enough to release a small amount every year to keep it available. Morenci is highly valued and difficult to obtain.